As I began to walk toward what is essentially a portal to another world, the familiar structures and sites I could make out began to give way to the realization that the journey I was on to get home was less about how I got there, but more a question of WHEN I got there! 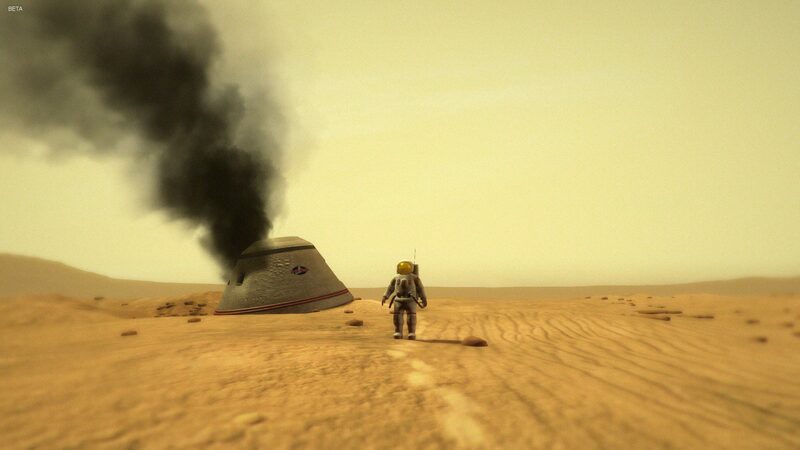 Lifeless Planet tells the tale of a portal that’s discovered by Russia during the height of the Cold War with the U.S. This portal allows transport to another world, lush and green, full of life and wonder, and a ‘utopian soviet society’ is the dream. Colonization begins and numerous families are sent to the “new world” in an effort to fulfil this dream of a Soviet society, the first to spread out into the universe and the first superpower to do so. Man’s need to explore and conquer is a central theme that is at the heart of Lifeless Planet. As more and more people are introduced to this new planet and its Eco-system, not a thought is given to how we as humans might be affecting this foreign world and only after it’s too late we discover that bacteria we brought with us, harmless to our world, has begun to turn this world from an oasis to a wasteland. As the planet dies and less and less supplies are sent from Earth to the colony, an intriguing reason for this is made clear later on, a women is discovered that somehow has managed to thrive. Where flora and fauna die all around; in this women’s presence life finds a way. In an effort to understand why and perhaps save the colony, scientists force the women to undergo genetic experiments hoping to find a cure for the ailing planet. Instead of isolating why this women is able to live in harmony with this world the resulting experiments merge the women with the world, she becomes an extension of the life struggling to survive and becomes an outcast. As the world dies – so does the colony. Sometime in the future a U.S. team is sent through the portal when it’s discovered by them and upon arrival a lone astronaut awakens after a crash to a discovery that he is alone, separated from his team and the world that he was expecting to be here, lush and green, is a desolate rock. The entirety of the game is played as this lone survivor and the sense of isolation and feeling of wonder at what has actually happened to this world was a motivating factor in playing straight threw to the end. I’d be remiss if I didn’t talk about gameplay as, after all, this is a game. Here in lies the biggest dilemma for me. Too often games are praised for their amazing graphics and gameplay while these same games at times have stories that you’d think we’re afterthoughts, shoehorned in for an audience that just doesn’t care. Can a great story, though provoking and having profound meaning with mediocre gameplay and graphics get the same treatment? 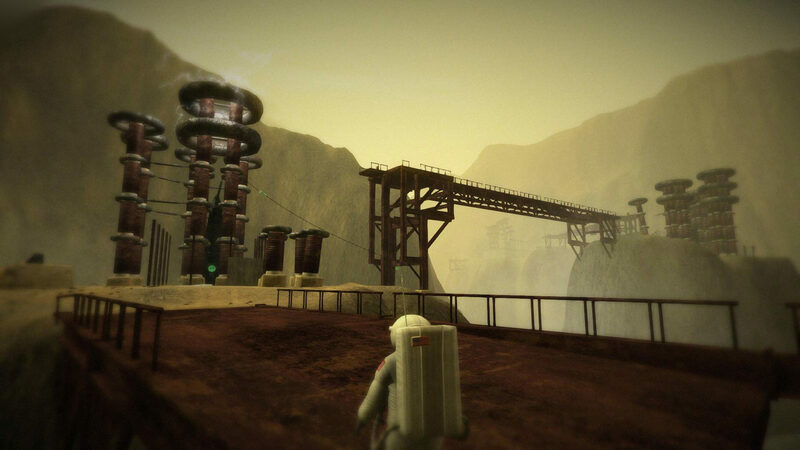 Platforming is at the heart of the experience in Lifeless Planet. You have a backpack that allows for short burst of gas, longer as you progress in the game and using momentum and with this burst of gas you traverse the environment. There is light puzzle solving elements as well that are all pretty much repetitive but serve to further the narrative of these portals which all primarily work the same way. overall experience can engage you in the way that this game engaged me, I think it’s the end result that stays with you more so than the gameplay. This is a classic example of the destination meaning much more than the actual trip. 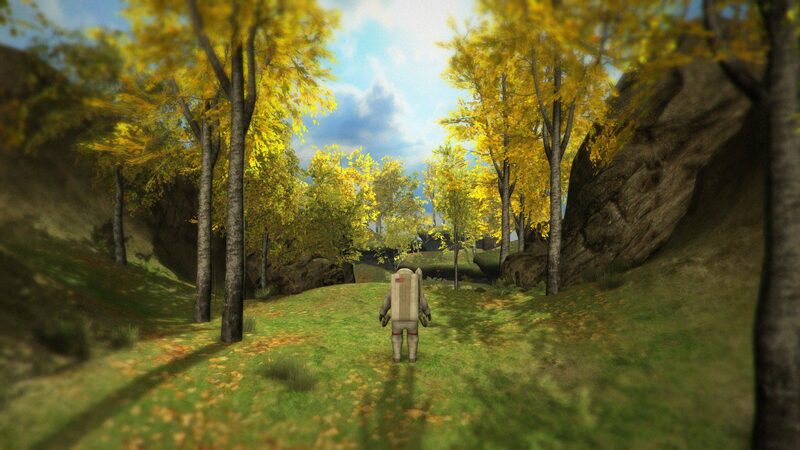 Graphically the game does a good job in showing you a world that is just similar enough and different enough to be believable. There are instances of pop in and some framerate issues but again for me the story and the themes that are central to it kept me engaged. Remember the supplies that stopped coming that I spoke about? The Russian colonists looking into the return portal began seeing images of a world they did not recognize. Strange towering structures that shimmered in the sun and an object flying through the sky. They feared the portal had shifted and would return them to the home world of the alien life form that must have left these portals behind. Remember the U.S. astronaut? Looking into a portal on Earth and seeing a lush, green world? 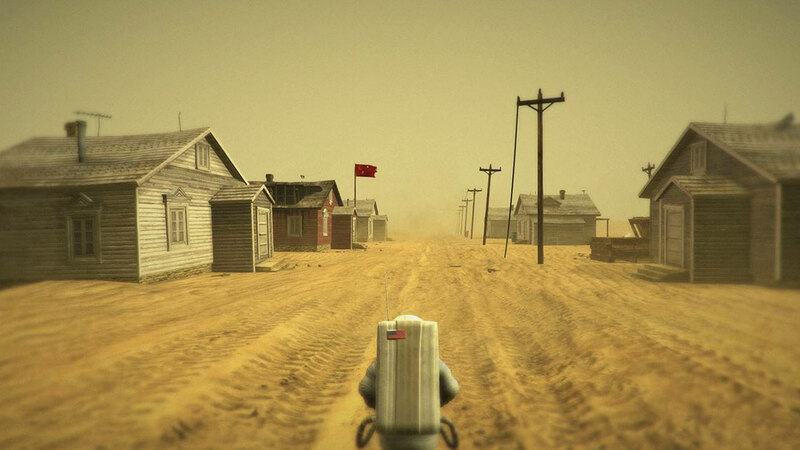 Having travelled through and finding a desolate wasteland? The moment I found out that the Russians were seeing Earth, but Earth in the future and the U.S. astronaut was seeing the alien world in the past, lush and green was a revelation. Imagine seeing our world but hundreds of years in the future. Would any of us recognize it? Oh – and that one way trip the astronaut took to the foreign world, leaving a wife behind on life support with a disease that is incurable. As I stepped through the portal on my way home it became clear it was more about WHEN I got there and less about how. Standing on a ledge, looking at a shimmering city of the future I’m left wondering if a cure for her was discovered and the implication that I would have never lived long enough to find out without taking this one way trip to the Lifeless Planet is a powerful moment.